All you need for your own hackAIR mobile sensor: Sensor, electronics, wires, tube, how-to-tutorial. The sensor comes soldered and programmed – just connect it to your mobile phone using Bluetooth. 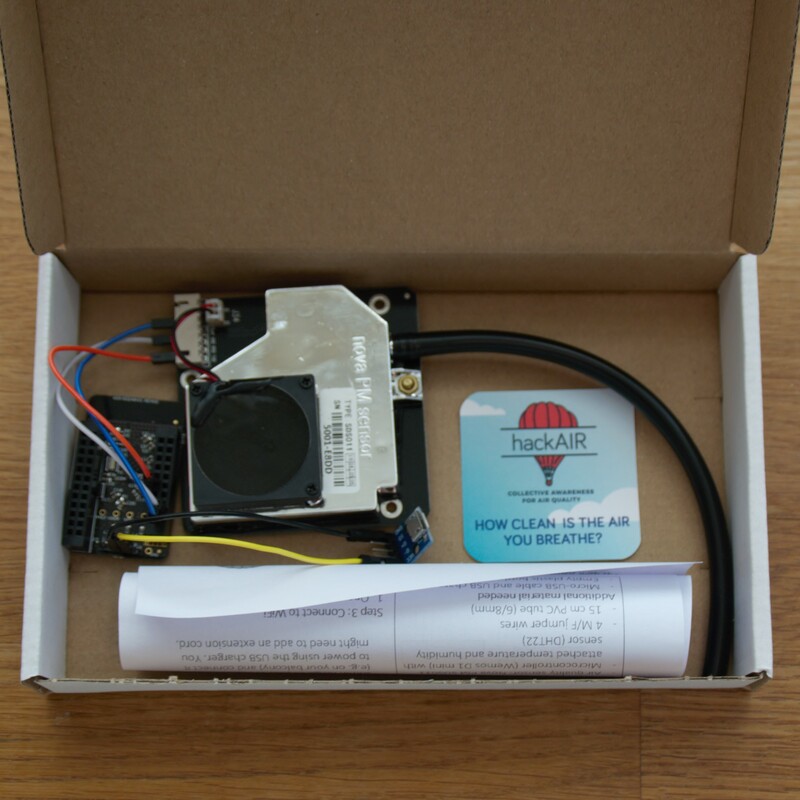 This package contains all materials for your hackAIR mobile sensor – soldered, assembled and programmed. You will need to add a case (for inspiration see here) and connect a USB power bar. Once started, the sensor automatically broadcasts air quality measurements (PM10 and PM2.5) via Bluetooth. Using the hackAIR smartphone app, you can read those measurements and upload them to the hackAIR platform. You can then see your measurements in context on a map and easily download them for further analysis. These come connected with all necessary jumper wires and a plastic tube to draw in air. We have also pre-programmed the microcontroller so that you don’t need to worry about code. Note: this sensor only saves measurements when connected to a phone. It is thus more suitable for short measurement campaigns (e.g. a walk or your daily commute by bicycle) than for continuous measurements from a fixed location. 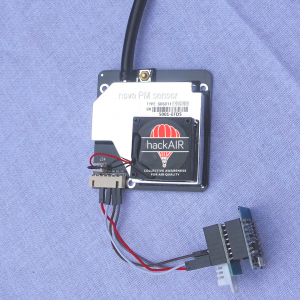 For that, check out the hackAIR home sensor.